The essential nature of flyers printing is to spread word about your business. Typically flyer printers provide flyers and leaflets for announcements of events, specific product information, and fact sheets for conferences and meetings. Flyers printing is usually used to greatest effect when displaying and promoting immediate information with a short, sharp lifespan. At PrintLoft, expert flyer printers, we have experience in providing advice and quality products for Leeds printing. We offer cheap and affordable leaflet and flyers printing across a number of different flyer sizes, including A3 folded to A4, A4 folded to A5, A4 folded to A5 long, A5 folded to A6 and A4 folded to DL. We also offer cheap leaflet printing across a variety of leaflet sizes, including A4 (210x297), A5 (148x210), A6 (105x148) & DL (100x210). Based in Blackpool, Lancashire, PrintLoft are an experienced and quality producer of paper goods, for customers across the UK. We send business cards to Manchester, supply Leeds printing and provide printing services in Liverpool – there is nowhere we can’t put a PrintLoft stamp on! Leaflet printing is ideal for leaving in prominent or pertinent places of interest to your target audience – leaflet printing is often used to great effect when included in newspapers or magazines. They should be attention catching, and leaflet design should be geared toward presenting your company to new and potentially interested customers. At PrintLoft, we have a team of professional leaflet designers to help you get the most from your leaflet printing opportunity. Attention: Your leaflet must grab people's attention and curiosity with your flyer or leaflet. Interest: After capturing the attention of your target audience initially, you need to retain their interest. This is achieved by ensuring that you follow through on the promises made in your headline and that you communicate your message in a way that your target audience will respond to. Action: The final step of your leaflet design is to encourage your audience into taking the next step, or what is known as a ‘call to action’. You might want readers of your leaflet to visit your website, give you a call or email you; whatever it is, make it clear. A compelling title: make it eye catching - you only have a few seconds to grab a person’s attention! 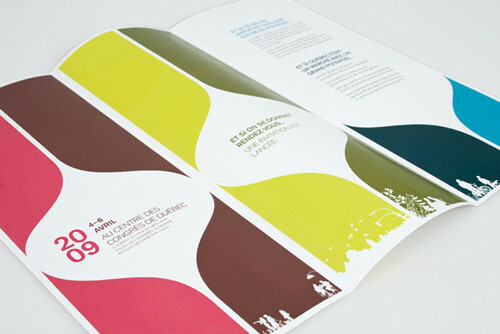 Have a main theme: what is the point of the leaflet design? Draw up a strategy to promote your leaflet: who will you send them to, which area will you do the leaflet drop, leave them in other businesses - always consider your target market when drawing up a strategy. Promote your unique selling point: what you do better than competitors or what can you offer that no other business could – this is essential to include in your leaflet printing! Ensure good clean professional leaflet or flyer design. Provide an incentive- eg. Discount voucher, promotion in-store. Write positively rather than negatively: eg. change 'I do not do'....to 'I do'. Include Images: this includes logo and product images. A picture can say more than words and can be much faster to process and persuade. If design isn’t your strong suit, never fear – here at PrintLoft we have an accomplished team of leaflet designers who are happy to provide the flyer or leaflet design that best suits you. For any and all printing needs, whether you are looking for business cards in Manchester or printing services in Liverpool, come to flyer and booklet printers PrintLoft.